Effective freight management and logistics are essential for all types of businesses to improve efficiencies in operations and remain competitive. Freight management and logistics is the utilization of technology, human resources, knowledge and experience to facilitate effective, efficient and expeditious organization between carriers and shippers so as to ensure that goods reach their intended destination safely, on time and within budget. The processes involved in freight management and logistics are varied and in order for their respective supply chains to function well, each of myriad processes which include planning, execution and operation, control and monitoring, etc. must be carried out in perfect synchronization to ensure that the intended result is achieved without any disruptions. The benefits of freight management aid businesses in reducing their freight transit times and increasing visibility thus resulting in controlled and cost-efficient logistics. Warehouse automation and robotics – logistics and freight management operations in warehouses across the globe are being automated at a rapid pace with the introduction of robots / automated vehicles for stacking and picking of stored material and for loading and unloading from containers. Automated vehicles – even though fully autonomy in vehicle operations is still not achieved, there have been massive advances in fleet management and real-time vehicle tracking that has enabled in dramatically improving the efficiency and effectiveness of freight management and logistics operations. The movement of all types of cargo carriers – sea /air/land – are now monitored and controlled for effective management of the fleet operations. This has enabled the operators to bring down the costs due to downtime, inefficient operations and idling. Software solutions – newer software solutions are now in use that allows logistics service providers to better utilize infrastructure by sharing spare capacities with other operators. Green logistics – there is a tremendous focus on implementing policies and methods to reduce the environmental impacts of logistics operations as part of the corporate social responsibility initiatives of the logistics service providers. Improving the last mile – logistics operators worldwide are focusing on developing and perfecting methods that will improve the efficiency of last mile operations in delivering goods to the store or customer. 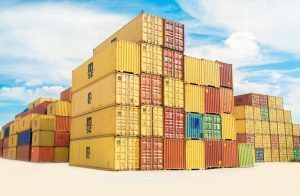 Offshoring control operations – logistics operators are looking to further reduce the cost of operations by transferring back-office operations like remote monitoring and controlling to places where this can be done cost-effectively while not compromising on the quality of service delivery. The freight management and logistics market have been growing consistently over the years across the Middle East. The policies enacted by the governments in the region have contributed to this. The UAE continues to be logistics hub of the region and this reputation is enhanced with the expansion of the Jebel Ali Free Zone and the setting up of the Dubai Logistics City as part of the new Al Maktoum International Airport. The government of Saudi Arabia is funding the setting up of special economic zones with major warehousing and transportation projects. Similar developments are happening in other countries in the Middle East that is contributing to the growth of freight management and logistics in the region. Governments and businesses in the Middle East are at the forefront of adopting the latest technological developments in all fields and the freight management and logistics sector is no exception. Government departments like trade zone authorities, ports and customs departments and road transport departments work in highly automated environments. Similarly, freight management and logistics operators have adapted technological tools like robots, autonomous vehicles, fleet management systems, etc. to improve their operations and deliver world-class services to their customers. Freight management and logistics sector in Oman has been growing over the years and is forecasted to grow at around 5% till 2022. The Oman government has entered into various Free Trade Agreements and has invested in improving the warehousing and transport infrastructure in the country. The government has also introduced regulations and improved the operations of the customs department to aid the growth of the sector. 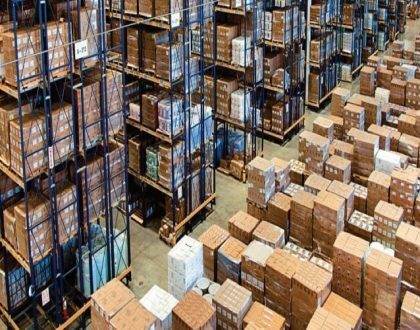 The government is keen to further enhance warehousing capacities and transportation infrastructure to aid the growth of all types of industries and services. Globalization and growth in world trade are also expected to boost the growth of the overall market. All in all, the future looks bright for freight management and logistics operators in Oman with 2019 opening up many avenues to increase growth. While speaking of Logistics in Oman, we, Alsi Oman is the leading freight management & a logistics company in offering freight forwarding services of any size of cargos to any location worldwide. Customers are looking for hassle-free freight forwarding services, that’s why we deliver their cargos cost-effectively wherever they need it to go.